2.Add the logo to your post. 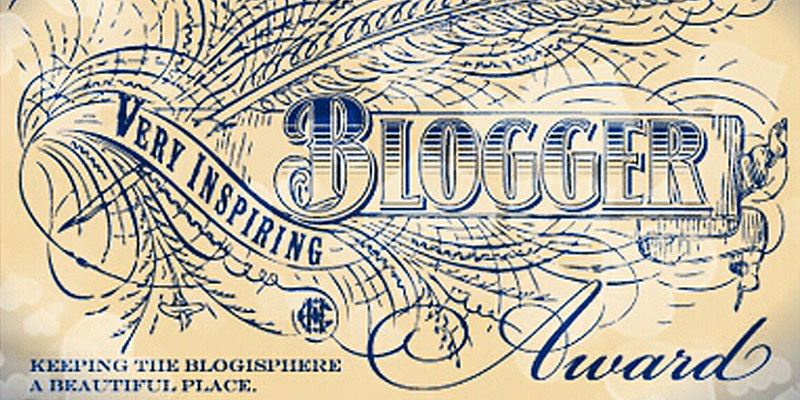 3.Nominate 10 other bloggers you think are inspiring. 4.Answer the questions given to you. 5.Give 5 new questions for your nominees to answer. 1. Who has been the most inspiring person in your life? Ans. It’s actually a tough question to answer for me because most of my family members and friends inspire me a lot (in many ways). So its tough to choose one person. So l don’t think I can choose one particularly, everyone have made their own contribution in inspiring me for many things. Ans. I’ll take anime into consideration for this question. I have a lot of favourite characters, and again its a little tough decision but if have to choose a particular character, I would say Itachi. Ans. My greatest fear are lizards,cockroaches and frogs and other creepy insects. 4. Stuff you like/dislike about poetry. Ans. I love poems, especially ballads. I don’t dislike anything much about poetry. 1. The funniest thing you have ever seen or done. 2. What/Who inspires you the most? 3. Which instrument would you like to learn? 5. Name an anime character who has inspired you. I know. They are really creepy, especially the way they crawl…. Just thinking about it gives me goosebumps. I agree. There is something about them that gives me the chills. Yep. Without fail they always make me feel uncomfortable. Bugs ARE terrifying creatures. Especially spiders. Just no. But thank you very much! I’m not sure when I’ll get around to the award, but I’m positively sure it will be followed through with some time. Thanks again and congrats – How inspiring!